Hello! Thanks for stopping by my journal! I've been sharing anime magazine scans in LJ for quite a while. Other than anime magazine scans, sometimes I also share scans from anime characters books (all Gintama related so far) and etc. Since the stuffs I've been sharing so far and will be sharing in the future are considered proprietary stuffs, I think it's good for me to friend-lock all my sharing posts. Hence, this LJ will become a semi-friend locked LJ. This means that all sharing posts with download links (for videos and etc) will be friend-locked after one week. As for magazine scans posts, at any point in time, I'll have the latest 3 months of the anime magazine scans posts available to all. The old posts will all be friend-locked. I do not promise to scan magazines regularly (even though up till now, I've been doing so regularly). Basically, I scan what I like so please do not request me to scan things I did not scan. My scans and sharings are only for reference. Downloading is in no way an alternative to buying the original. Please support Japan's anime industry by buying the originals whenever you can. If you want to be my friend or wish to access all the posts in my LJ, please leave a comment and add me as your friend. I'll only add you back if you leave a comment. Hi all. 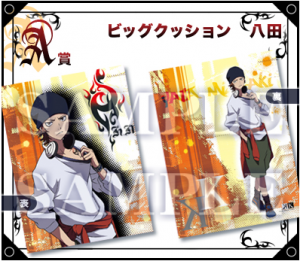 I have some prizes from the latest K anikuji. Please take a look. a. I have won 2 Saruhiko figures (Prize G) and would like to trade one of them for a Misaki figure (Prize F). I’m from Singapore and would prefer to do trading with Singaporeans. Interested parties, please leave comment or PM me. Many thanks! Hi everyone, I'm taking orders for Arashi LOVE Concert Goods [Tokyo Dome] and JE Official Shop Photos. Please PM me or leave a comment if you are interested. If you have other special request order for JE or anime/manga stuff, feel free to contact me. I'm sending out the items from Singapore. I also accept oversea orders. For people residing in Singapore, meetup is possible. All items are listed in Singapore Dollars. Deadline for all preorders is on the 7th. Payment has to be in by the 8th. I accept bank transfer (for Singaporeans) or paypal. All Photo Previews OVER HERE. Note that the Photo Sets are taken by the members themselves! Each Shop Photo cost $3. Please click links for pictures. I'm an Arashi fan so frankly, I'm not familiar with the other JE groups. If you want to buy other JE group photos, please give me the link of the photos. Please list the type of photo, and the photo code of the ones you wish to get. Hi all... I have many old issues of anime magazine to sell. The oldest issue is dated Oct 2012 and the latest issue is dated July 2013. For most of the issues, the omake (poster/clear file/etc) are still attached to the magazines. For some issues, the omake are also still intact but the posters have been cut off nicely. All the magazines and omake are well kept and in mint condition. I hope to find owners for all the magazines Please take a look. Prices are negotiable but it must be reasonable. Please PM me to negotiate. You can find the pictures and price under the LJ cut. I reside in Singapore so if you are also from Singapore, meetup is possible. I will only send the items out via registered air mail or EMS. Both come with tracking number. EMS is more expensive but it will reach you much faster. Exact shipping cost depends on the weight of the items you buy. I accept Paypal payments (for International) or bank transfer (for Singaporeans). and I'll get back to you asap. Hi everyone! 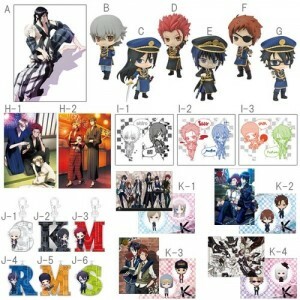 I have many K Project goods and Anime Magazines for sale. I hope to find owners for all the items. Please take a look. All the items are new and unused. 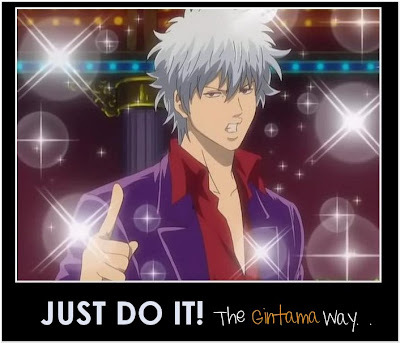 have many Gintama goods to sell. ALL ITEMS must go!! 10% discount for 5 or more items purchased! but I have lowered the prices so please ignore the previous post. the boxes are opened to check the content. The content is still securely wrapped. If you are buying figures, I will only send it out via registered air mail or EMS. 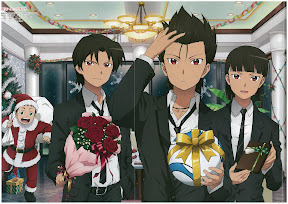 Hi everyone, though I'm a month late, here's the magazine scans from Animedia (Dec 2012) and Otomedia (Dec 2012). The scans include Ao no Exorcist, Code Geass: Boukoku no Akito, Gintama, Ginga e Kickoff, Hetalia, Inazuma Eleven Go Chrono Stone, Ixion Saga DT, K, Kuroko no Basket, Magi, One Piece, Psycho Pass, Tiger & Bunny and Zetsuen no Tempest. Please click to enlarge image. 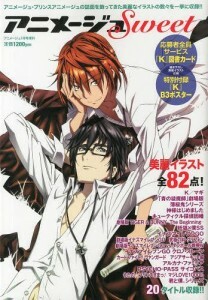 Hi everyone, here's the magazine scans from Otomedia (Oct 2012), Animage (Nov 2012) and Animedia (Nov 2012). 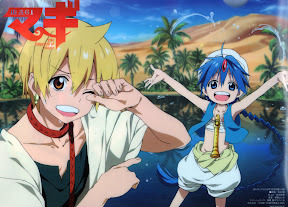 The scans include Ao no Exorcist, Gintama, Code Geass: Boukoku no Akito, Inazuma Eleven Go Chrono Stone, Ixion Saga DT, K, Kuroko no Basket, Magi, One Piece, Psycho Pass, Tiger & Bunny and Zetsuen no Tempest. Please click to enlarge image. 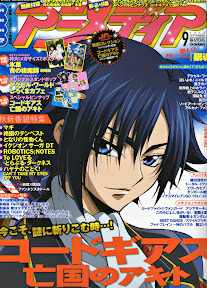 Hi everyone, here's the magazine scans from Animedia (Sep 2012). This month's issue comes with a super big (2 times of A3) poster - Ao no Exorcist/Hyouka. It's simply too big for me to scan. Hi all! 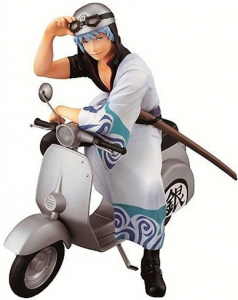 The most recent Gintama Ichiban Kuji just ended in Japan. I have doubles for all the prizes except for Prizes A, B, D and Last Prize. I'm letting go of the doubles for Prizes C, E, F, G, H, I and J. All the prizes are of very high quality. and JUMP bookmarks for sale. via registered air mail or EMS. I accept Paypal payments only.